Badges provide the student with added motivation, recognition of development, and a means to monitor progress for growth. This is especially good for juniors who tend not to grade through the belt system as often as adults. The juniors do however go through the same grading requirements as adults and we have juniors who have achieved black belt who now train in the mixed classes. Taekwon-do is much more than kicking and punching. 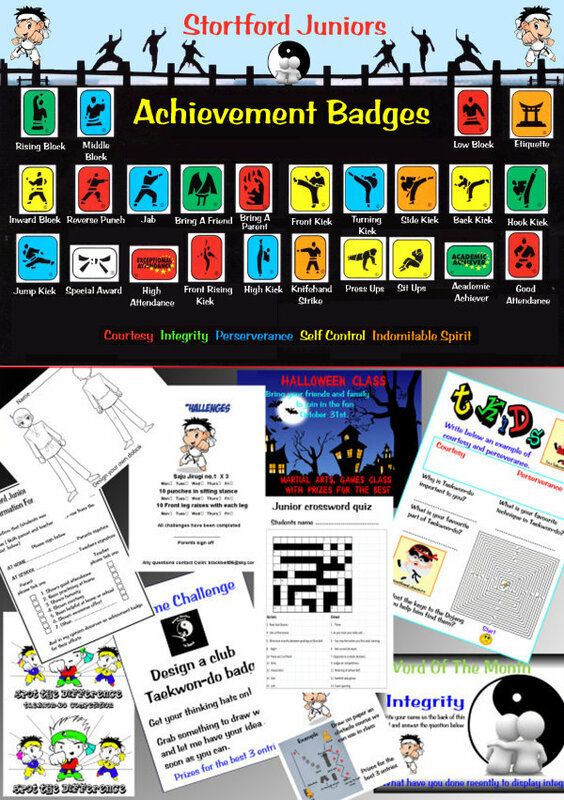 Regular fun challenges for juniors to do at home and themed classes for Halloween, Easter and other holidays.